Few creatures, aside from humans, have the ability to reshape the world in which they live. The humble earthworm is one such example. As a "terrestrial engineer," it tunnels through and aerates the soil, incorporating organic matter along the way and benefiting nearby plants. The North American beaver, the second-largest rodent in the world, is known as "nature's engineer" for its habit of constructing dams on rivers and streams, then building its home in the resulting pond. As it turns out, the human mesenchymal stem cell (hMSC) acts as an environmental engineer of sorts. When placed in a Jello-like material known as a hydrogel, the cell secretes a substance that breaks down and "remodels" the material, a necessary step allowing it to move around. These particular human stem cells — which have the ability to differentiate into bone, cartilage, muscle and fat cells — play a vital role in wound healing. Once hMSCs migrate to the affected site, they regulate inflammation and restart healing in chronic wounds. One strategy to foster wound healing is to implant a hydrogel infused with hMSCs directly into a wounded area. The hydrogel provides structural support to the surrounding tissue while the stem cells differentiate and call the appropriate cells to the wound for tissue regeneration. During the healing process, hMSCs begin their engineering work and the hydrogel breaks down. If their remodeling efforts were better understood, materials could be designed with optimal properties for wound healing. Kelly Schultz, P.C. Rossin Assistant Professor of chemical and biomolecular engineering at Lehigh University, has received a National Science Foundation (NSF) CAREER Award to explore this promising area of biomaterials and cell biology. Schultz's project will apply a combination of new and existing methods to characterize the region around hMSCs during cell remodeling and degradation of a synthetic hydrogel. The research will focus on how hMSCs handle "rheologically distinct" environments they encounter as they move – in other words, materials with features that vary in stiffness. Schultz believes hydrogels can be developed to optimize wound healing as well as maintain structural integrity of the surrounding tissue. Ultimately, the research promises to have a major impact on biomaterials design, leading to new materials with the potential to speed wound healing and prevent development of chronic wounds. The prestigious five-year grant for CAREER: Determining the structure and properties of cell re-engineered microenvironments using rheology in synthetic wound healing scaffolds, officially began March 1. "It is a great honor to receive an NSF CAREER award because you are chosen by accomplished senior scientists in your field," Schultz said. "To me, this recognition means that I am making an impact on my community with my work." Schultz joins Rossin College's 30 other NSF CAREER Award winners and is the fifth faculty member in the chemical and biomolecular engineering department to receive the honor. "The grant enables us to push our work further," Schultz said. "We have been interested in cell-material interactions for a long time but being able to do a thorough study of how rheology changes these interactions will give new insight into design of these biomaterials, which have the potential to impact society." As part of her grant, Schultz plans extensive outreach activities to educate a broad audience in biomaterials, materials characterization and wound healing. Public outreach is planned for the Da Vinci Science Center in Allentown, Pennsylvania, a local science museum. In addition, Schultz will mentor local middle and high school students as well as train and mentor undergraduate and graduate students at Lehigh. Schultz's main research interests are in the areas of rheology of hydrogels, dynamic rheological changes of colloidal gels and the role of hMSCs in remodeling enzymatically cleavable hydrogels. Schultz received her Ph.D. in chemical engineering from the University of Delaware in 2011 and joined Lehigh in 2013 following two years of postdoctoral studies at the Howard Hughes Medical Institute at the University of Colorado. In 2014, she was named a "Distinguished Young Rheologist." an international honor from TA Instruments, the leading manufacturer of analytical instruments for thermal analysis, rheology and microcalorimetry. 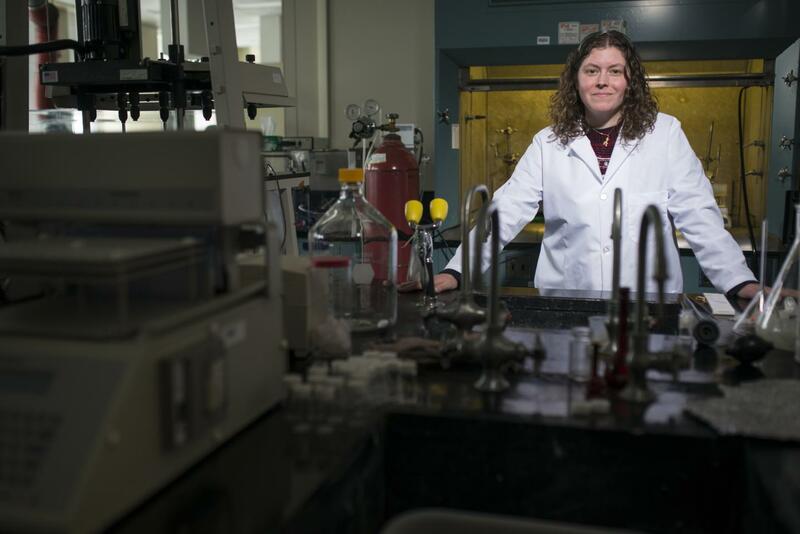 The same year, she won a Doctoral New Investigator grant from the American Chemical Society's (ACS) Petroleum Research Fund for her studies of the material properties of chemically cross-linked polymeric gels. Schultz participated in the National Academy of Engineering (NAE) 22nd annual U.S. Frontiers of Engineering (USFOE) symposium in 2016, which recognizes engineers aged 30-45 who perform exceptional research. Schultz was one of 83 engineers from industry, academia and government to be nominated and selected for the impact of their work.